Waverly W. Alford III (born August 18, 1969), better known by his stage name King Gordy, is an American rapper. 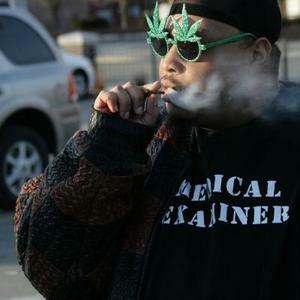 King Gordy is a horrorcore rapper from detroit, michigan. He appeared on Bizarre's solo album. Gordy and Bizarre have been good friends since childhood. He is well known for having his hair braided into two horns on his head. Aside from his rap career King Gordy has appeared in the film 8 mile (film), starring Eminem, in which Gordy played the fictional rapper Big O. A New group with King Gordy and Bizarre of D12. Aside from his rap career King Gordy has appeared in the film 8 mile (film), starring Eminem, in which Gordy played the fictional rapper Big O. A New group with King Gordy and Bizarre of D12. The first album is called Herijuana The album will be released on April 20, 2011. Under Suburban Noize Records.